(3e arrondissement) Chic, exposed-brick café famous for its coffee and handmade chocolates. (6e arrondissement) My personal favorite, once the reputed destination for the literary and intellectual elite of the city, now an iconic brasserie known for its fantastic, creamy hot chocolate. (16e arrondissement) Classically French café near the Eiffel Tower, where the hot chocolate is served in kitschy-chic teacups. (6e arrondissement) Right across the street from Les Deux Magots, this café is one of the oldest and most famous of the city. The hot chocolate here is well-loved by tourists and locals. (2e arrondissement) Hot chocolate topped with freshly grated chocolate shavings. You can also add hazelnut, almond, or chocolate syrup to your drink. (6e arrondissement) The place to go for a luxurious degustation. 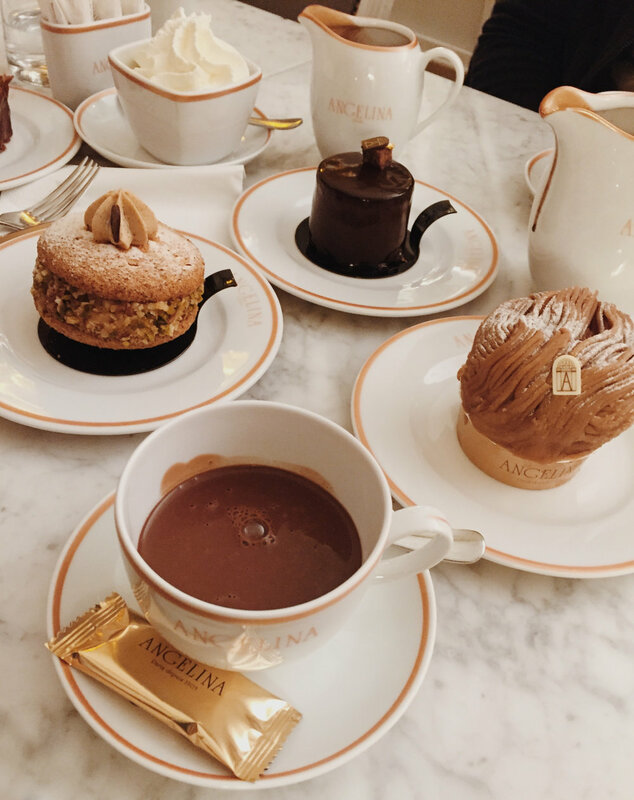 The famous hot chocolate is served in fine white porcelain, and the menu features decadent desserts. (6e arrondissement) Ultra-modern concept boutique and chocolate bar. The place to get a hot chocolate alongside a gastronomic dessert experience. (2e arrondissement) Great vegan coffee shop that offers plant-based milk for their dairy-free hot chocolate. Their pastries and viennoiseries are also quite good. See more travel posts here.